If you’re coming to visit Wisconsin and need a place to stay the night, why not make it a memorable experience? Across the state, you’ll find some truly creative spaces to stay. From luxury to cabin vibes, from quaint inns to castles, each unique Wisconsin hotel will offer you something truly distinct. Here are our 10 favorites. Hotel RED is Madison’s cutest boutique hotel. Located right in down town Madison, Hotel RED is great place for you to both stay and play. The modern smart technology rooms make staying enjoyable while the fitness center and bar make playing oh so easy. To answer the most obvious question—yes the hotel is very red in color. Iron Horse Hotel is located in Milwaukee, Wisconsin. The building itself was built in 1907 and offers 100 loft-style rooms. The Iron Horse brings both old and new together by combining their wood interior with a modern accent of iron. Weddings and events at The Iron Horse will be sure to please your guests. The Brewhouse Inn and Suites makes our list because of its historically memorable experience. This stay truly gives you the Milwaukee feel. The Brewhouse doubles as a historic brewery that is near and dear to Milwaukee residents. Overall, a great place to stay for beer enthusiasts of all kinds. The Edgewater is one of Madison’s best boutique hotels. With a beautiful view over Lake Mendota. They offer water front dining at their seasonal restaurant, The Boat House. An ice skating rink opens during the winter months to give the Edgewater, yet another impressive amenity. Not only is the stay at Edgewater beautiful but their weddings, parties, and events are jaw dropping. Leave it to the Edgewater to take the stress of out your event. Located in Wisconsin Dells, Sundara Inn and Spa is tucked away between the pines on the outskirts of town. Treat yourself to a calming spa retreat that focuses in wellness. That said, Sundara is an adult-only hotel. They have electronic free zones where guests are asked to refrain from using phones, laptops, and other electronic devices. Sundara’s mission is to provide a stress-free sanctuary and a safe place to reconnect. “Céad Míle Fáilte,”—which means “one hundred thousand welcomes”—is how you will be greeted when entering this Milwaukee Irish favorite. This is one stop shop for all Irish everything: Irish pub, hotel, and restaurant all in one convenient place. The hotel itself is a mix between modern and traditional, never less and authentic Irish feel. Be spoiled by the County Clare Irish hospitality. Another Milwaukee treasure lies at Hotel Metro. This Art Deco-inspired hotel offers it all. Romantic suites, ecofriendly initiatives, high ceilings and curved walls. A rooftop bar and saltwater hot tub, gives Hotel Metro a leg up on its competitors. More of a vacation rental but still a top place to stay in Wisconsin, Cranberry Castle lies on the world’s largest chain of lakes. The Town of Eagle River has much to offer including this great rental with a true castle feel. 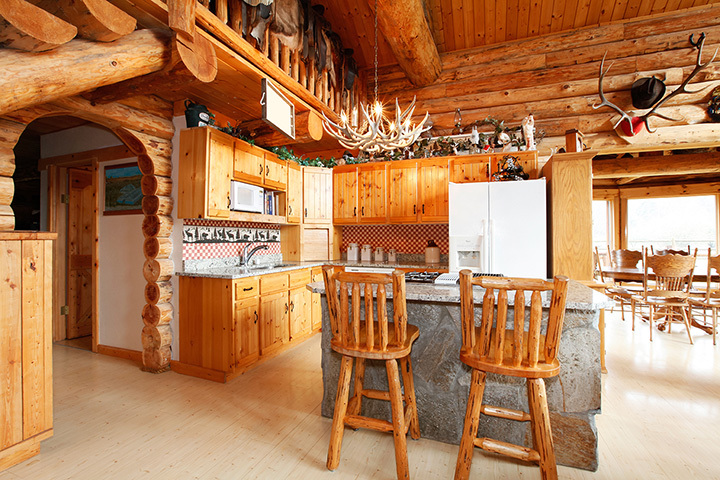 This log cabin is 8,500 square feet and defines rustic luxury. Canoe Bay has been featured in multiple travel magazines as being one of the best lodging in Wisconsin. Personal cabin rentals for all budgets and experience are available. Located on 300 acers of a beautifully forested woods. Hike, swim, golf, relax, fish, and ski/snowshoe. Located in Lake Geneva, Wisconsin, the Grand Geneva Resort and Spa is a perfect weekend getaway. There are so many activities for all types of families. They have golfing, holiday offers, swimming, spa, horseback riding, and exceptional dining. Lake Geneva Resort and Spa doesn’t treat each of their customers the same because no two customers are the same. That’s why they offer so many different packages for purchase.